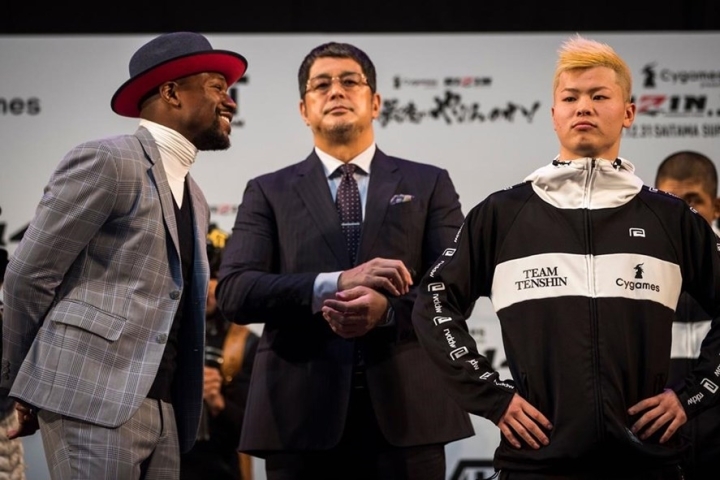 Floyd “Money” Mayweather fights undefeated Japanese kickboxing prodigy Tenshin Nasukawa on Monday, a New Year’s Eve multi-million-dollar rumble outside Tokyo to be held under boxing rules. The purse has not been officially disclosed but media reports have claimed that Mayweather is making millions per round for the nine minutes of action and was paid millions to take part in media functions. “It is all about entertainment. I don’t worry about anything,” said Mayweather, a legend in the boxing world who has a perfect 50-0 record with 27 knockouts. ← Amir Khan: Kell Brook or Terence Crawford next?